The Barnhurst estate was probably acquired by the Helliers in the 1720’s. James Shaw-Hellier and his family lived there from about 1800 while his father, Rev Thomas Shaw Hellier (d 1812) was alive and living in the Wodehouse Wombourne. 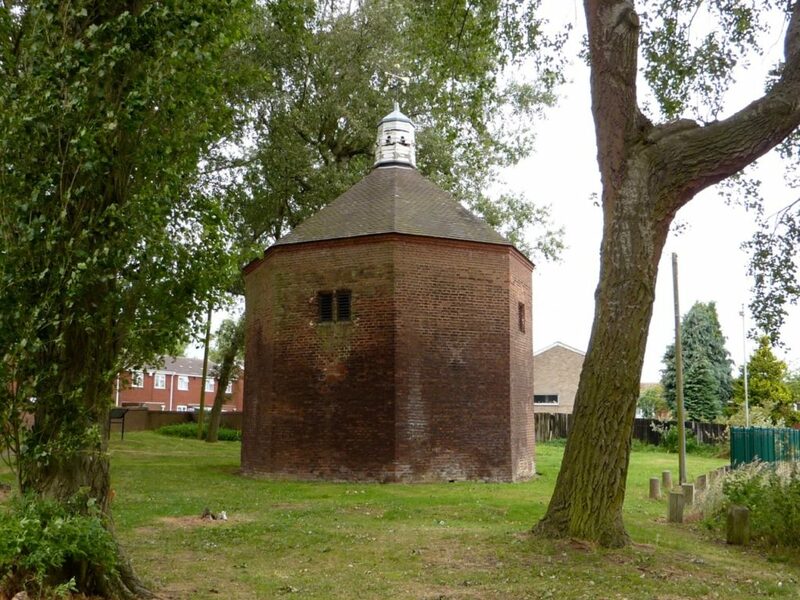 The only building that remains today is the Dovecote. See the local Wolverhampton history site for more details and pictures. James Shaw Hellier moved from Barnhurst into the Wodehouse in Wombourne from 1812. On his death in 1827, his widow Elizabeth must have returned to Barnhurst, herself dying there in 1835, where she is described as living with her second eldest son also James Shaw-Hellier. Another link with Barnhurst comes in the 1851 census when at least part of the estate is rented by John Thompson, ironmaster and partner of Edward Bagnall Dimmack. He employed Sarah Amelia Agard as a governess, who was to marry Thomas Evans (a grandson of James Shaw Hellier) in 1855. Thomas Evans and Sarah Agard went on to spend their early married life at Barnhurst and all their children were born there. Thomas Evans, renting land from the Shaw-Helliers was unable to make it pay and eventually moved to Tettenhall. Barnhurst and Pendeford Hall are adjacent estates to the north of Tettenhall.